‘I think it’s fair to say that like many folk, I’m a fair weather cyclist but really love getting out on my bike. However, as the years have gone by I’ve found that it’s becoming harder to keep up with cycling friends that ride in all weathers and never seem to be off their bikes! So when I spotted the option of an electric bike for my upcoming Skedaddle trip, I jumped at the chance! To be honest, I didn’t really know what to expect. Would it be difficult to ride? Would it be powerful enough to ride all day and get me to my destination and enable me to keep up with my friends? Well, I needn’t have worried, in fact after my week on an ebike, or more to the point a pedal assisted bike, I’m a true convert. • It’s as simple as riding a bike! Gears, brakes and handling are just as you’d expect, however at the flick of a switch your super powers kick in, it’s amazing! • Confidence giving. 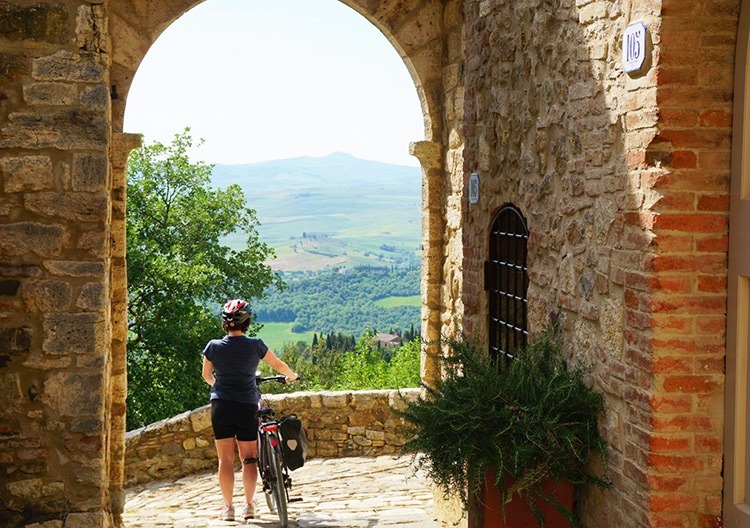 An ebike allows you to stop to admire the view, take a selfie, delete the selfie and take a nice picture, safe in the knowledge you will not get left behind. • Make mountains into molehills. Whatever your ability you can simply just dial up the power for the odd (or every) hill. • You still get fit. My Skedaddle ebike was pedal assisted so I could simply ride along in ‘eco mode’, the lowest setting or any one of the other 3 levels of assistance depending on the terrain and how I felt. • It goes for miles. My ebike easily covered over 30 miles a day on the trip and often still had half of its charge left. And when the cycling was over I simply plugged the battery in to charge in my room before going out for supper. • It’s fun to ride! It gave me the chance to sit back and relax and take in the scenery. 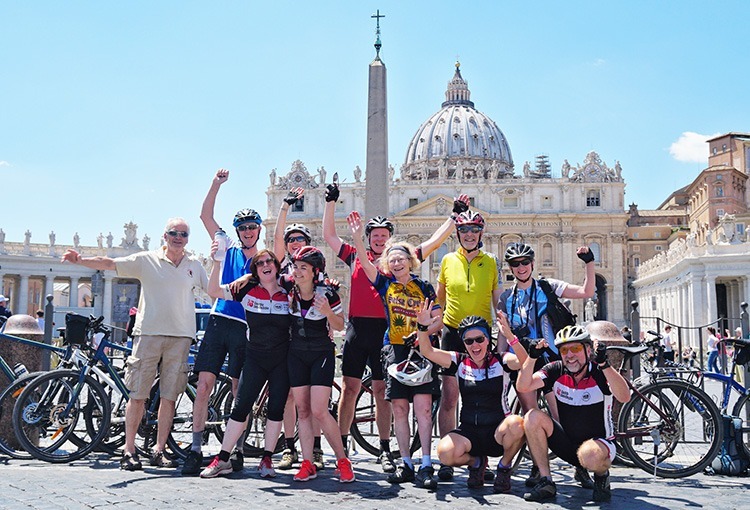 And when my fellow cyclists occasionally ran out of puff, I still had the energy to keep on talking – great for me – less so for them! Interestingly, after a few days of gentle teasing (and a cracking new nickname ‘Duracell Bunny’), everyone on the trip was keen to have a go on my ebike. There were plenty of big grins and even the odd cry of amazement at the level of assistance it provided on all types of trail and surface and especially on the hills. So, the bottom line is whatever your cycling ability or age, you don’t need to feel you are missing out. Riding an ebike made me feel like a big kid again, I felt unlimited in where I could go and what I could see. 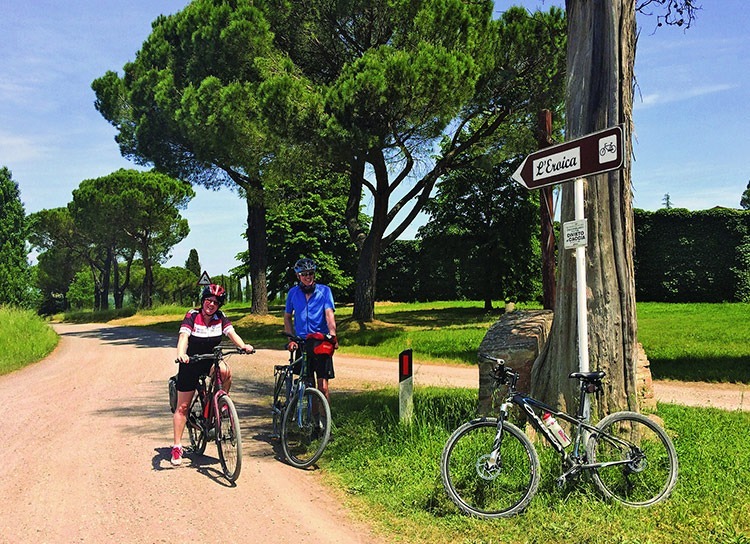 It provided me with the time and comfort to take in the glorious Italian countryside and the confidence to ride all day with my friends, safe in the knowledge that whatever the route threw at us, I was able to ride by their side. Sounds good? 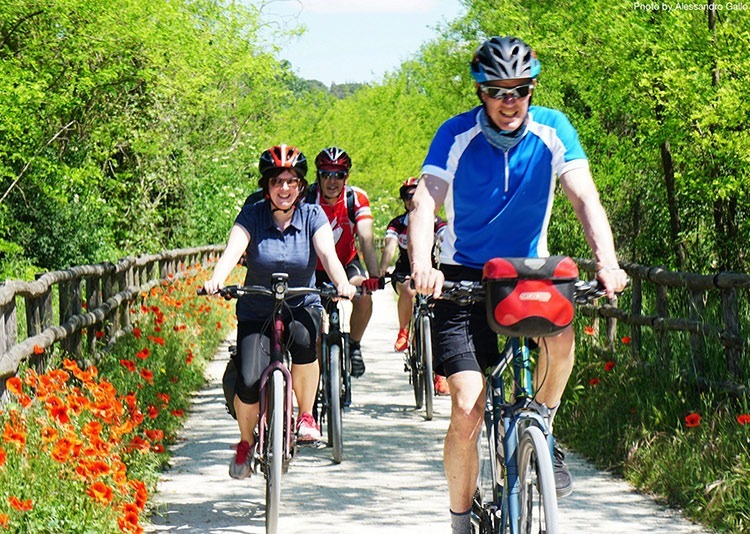 We have a great range of Electric Bike Holidays for you to choose from!